If you are having problems and would like us to help you, we offer a solution that allows us to take control of your computer from our offices and allows us to walk you though any issues you might be having. We use a software package called TeamViewer to accomplish this. 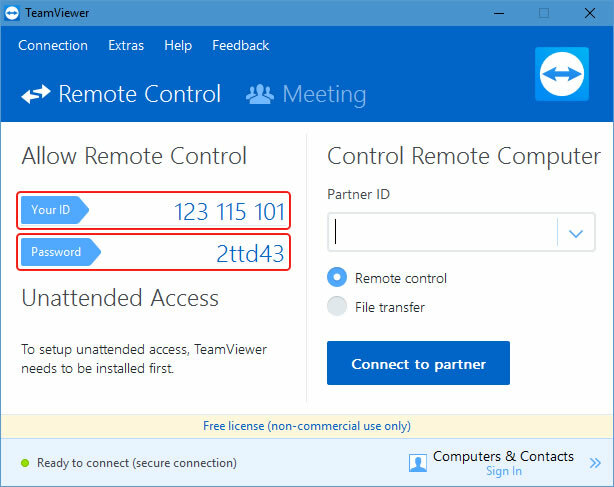 TeamViewer is a free, simple software that, when we are given the credentials, allows us to remotely control your computer. Please note: We are only able to control your computer once you have given us the unique ID and Password, which are changed every time the program is opened. First you will need to download the TeamViewer application. This should download the "TeamViewer.exe" file to your computer. Once the file download completes, double click on the newly downloaded "teamviewer.exe" file. Please select the boxes as shown above. Under "How do you want to proceed", please choose "Run only (one time use)". This will not install the program, but rather run it one time only. 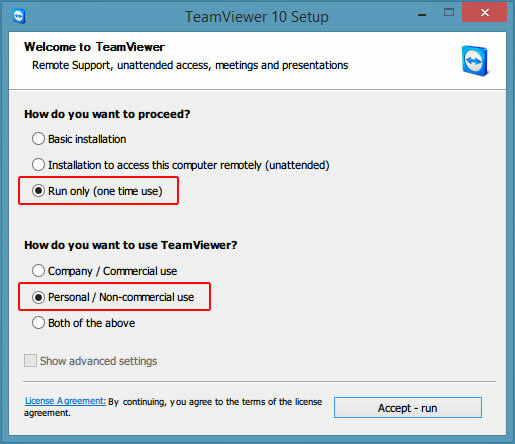 Under "How do you want to use TeamViewer", please choose "Personal / Non-commercial use". Then, click "Accept - run"
Please note: On some versions of Windows, a security warning might pop up, please allow the program to run if this pop up occurs. 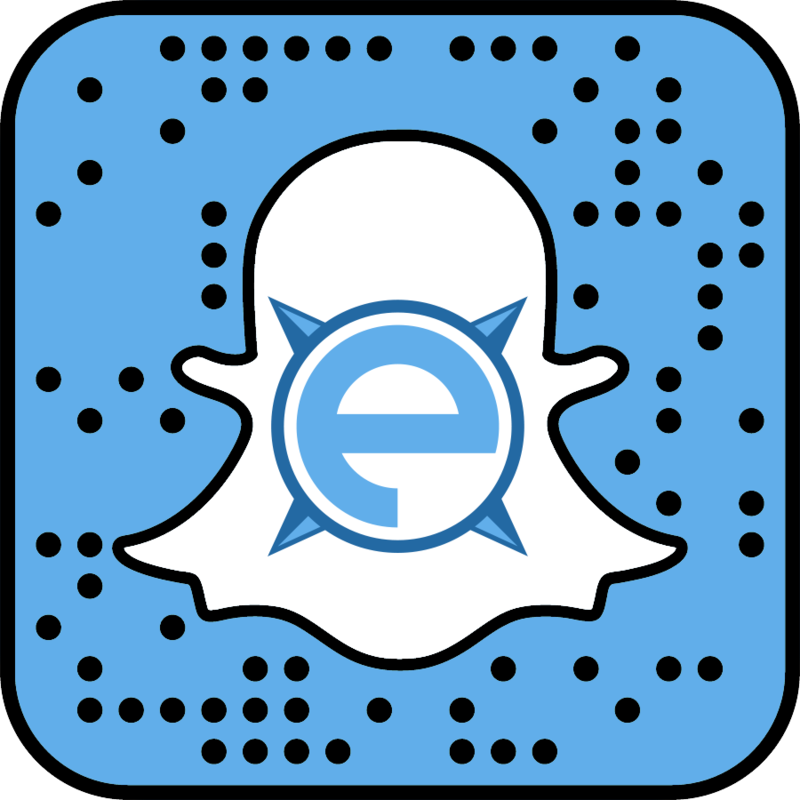 Once you have provided us with this information, we can then request and take control of your computer for you to resolve any issue you might be currently experiencing. Once we are finished assisting you, you can close the program with no further action needed.